We love soccer. In our Spanish office, Monday morning conversations are all about the games from the weekend. Talking about game highlights and your team’s best goal or performance becomes a Monday ritual to the start the work week. In the last few weeks, there’s been a name appearing more and more in our “water cooler” chats. 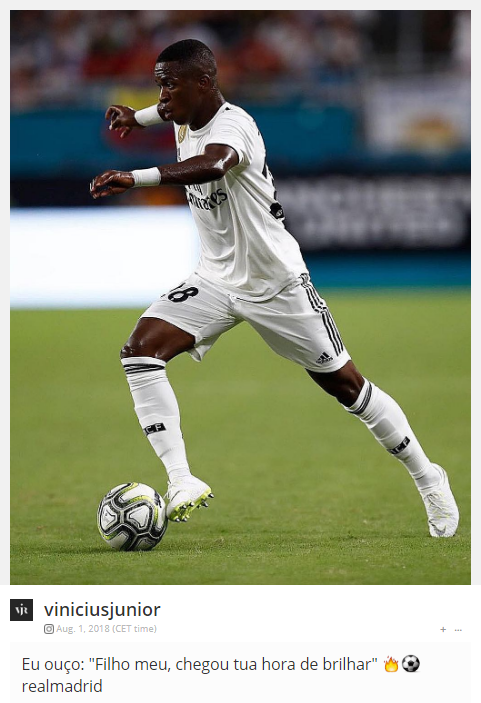 What started as a whisper, is now gaining more and more strength: we’re talking about Vinícius Júnior. The growing importance of the Brazilian youngster can be seen on his social media. 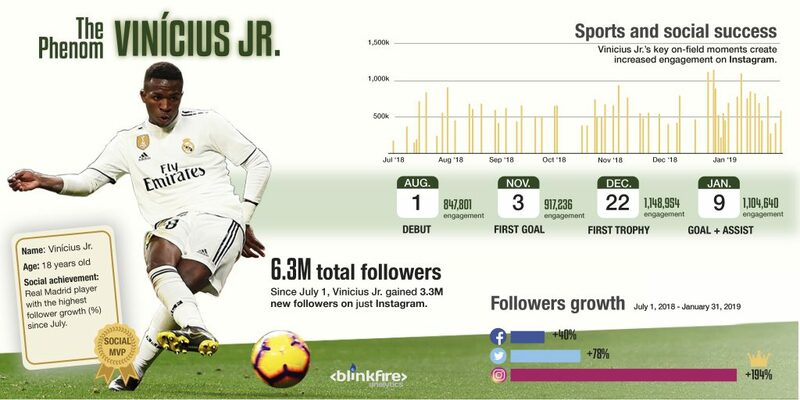 Since July 1, 2018, Real Madrid’s #28 saw his Instagram followers increase by 194% — he has 5 million followers on that channel and 3.3 million new followers since the start of the season. 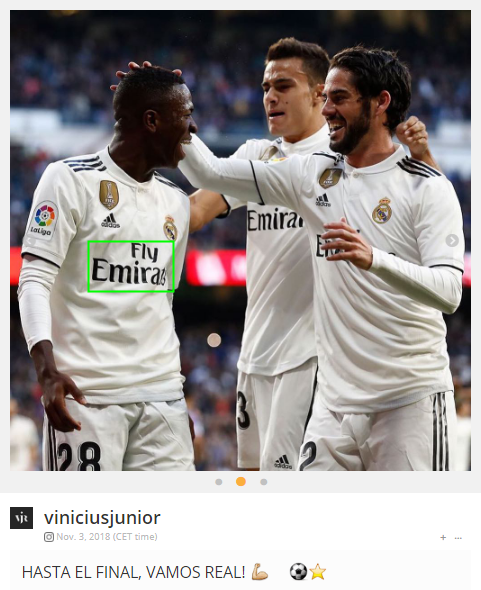 Vinícius’ season can be summarized by his most engaging posts on social media. 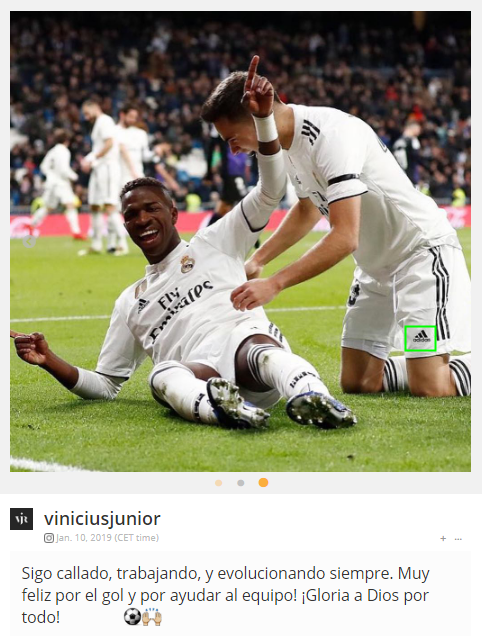 Since the young star started playing for Real Madrid, Vinícius’ top four posts match with key on-field moments. Coming off the bench, Vinícius is the star of the 2-0 victory over Real Valladolid. FIFA Club World Cup. 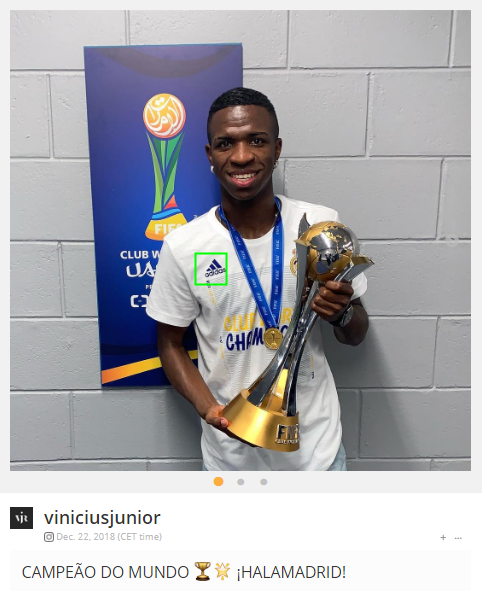 First trophy for Vinícius as a Real Madrid player. Real Madrid beats Leganés 3-0 with goal and assist by Vinícius.